This rodent from South America is the largest in the world. 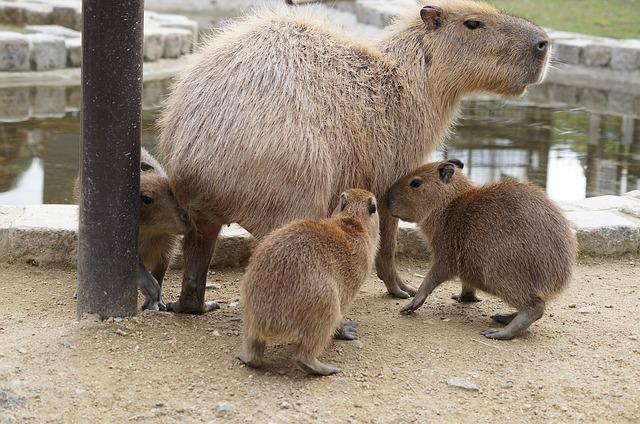 A capybara can get close to 80 kg (175 pounds) but as intimidating as it might look, they are mostly shy and tame creatures. 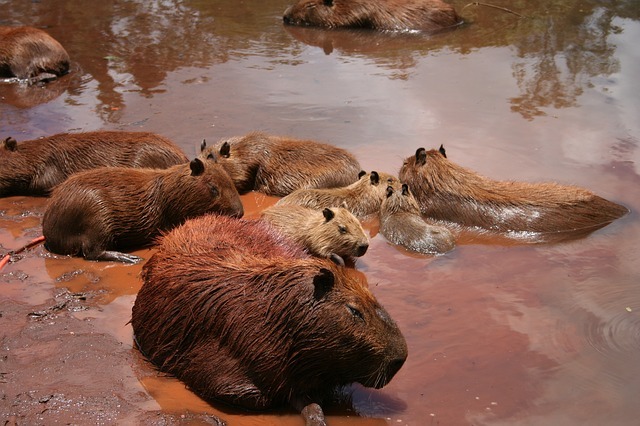 Capybaras are also known as water hogs. As the name suggests, they are usually found near swamps and water holes. The water provides a refuge from the midday heat. 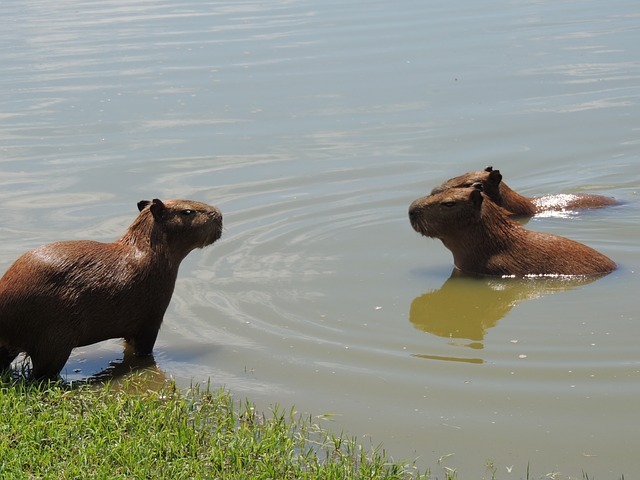 Capybaras are excellent swimmers. Their eyes and ears are positioned high on the head, so they can see and hear easily while swimming. 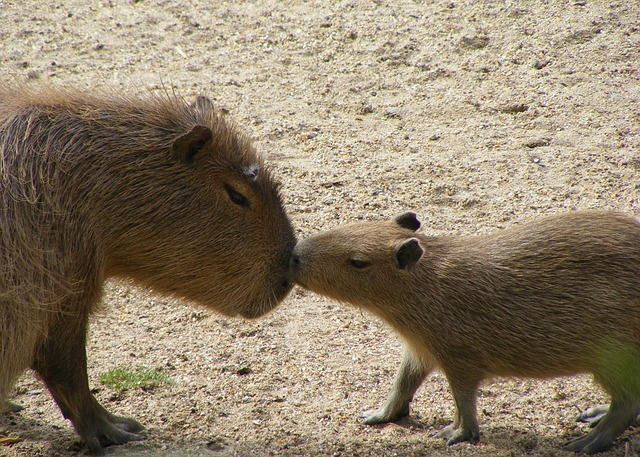 Capybaras also have webbing between their fingers and toes, which helps them paddle. When frightened, they can remain underwater for several minutes. 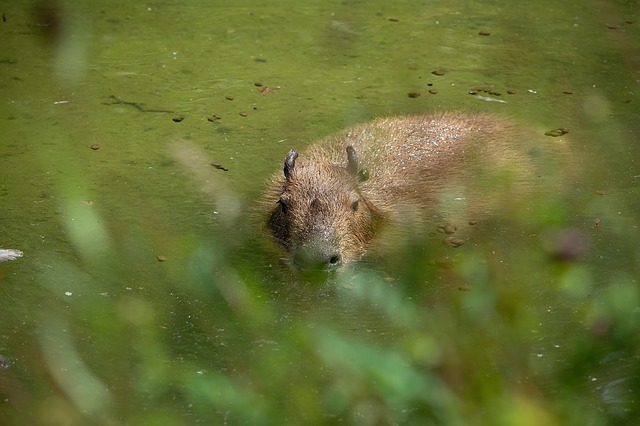 During the dry season—when water holes are few and far between—as many as 30 to 50 capybaras may gather around a single mud puddle.When the rains arrive, the animals break off into smaller groups. 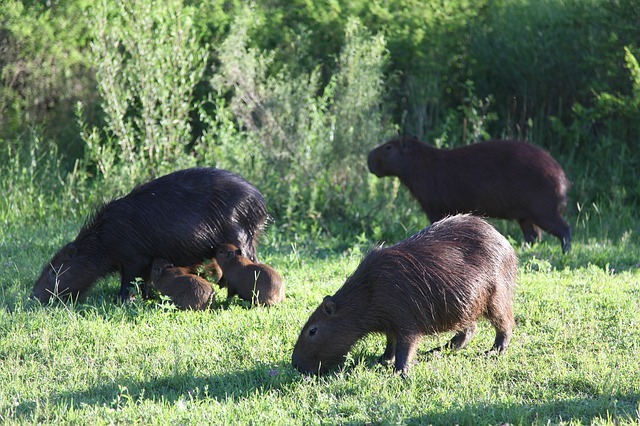 Typically, each family group includes one adult male and one or more females, with their young. Bachelor males often band together in separate groups. 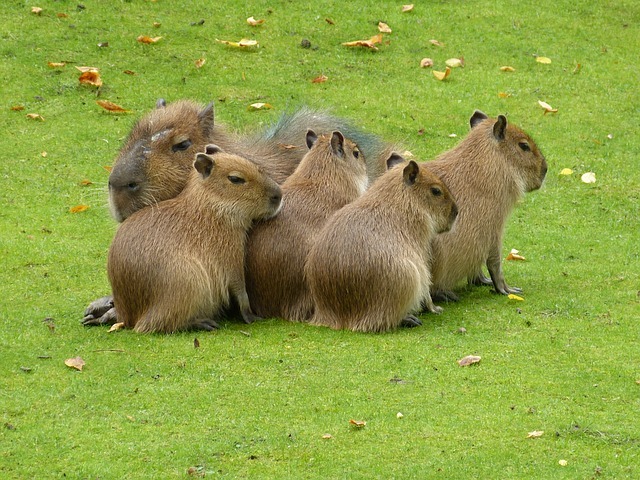 Each day the capybara troops must travel long distances in search of food. Yet they nearly always return to the same spot at night. In some places, ranchers kill the creature just because it competes with cows and sheep for grass. 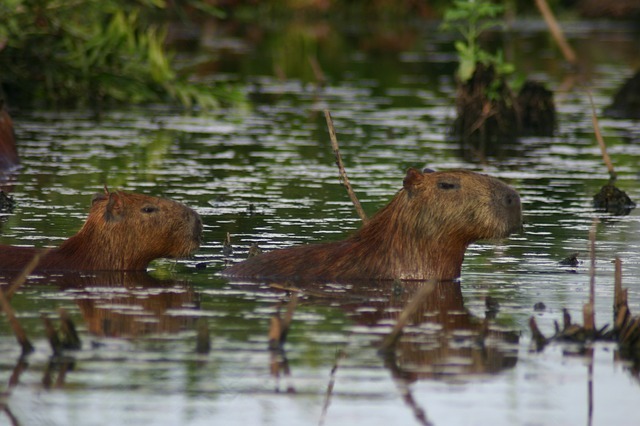 As a result of overhunting, capybaras have nearly disappeared in parts of their range. Some countries, like Venezuela, have begun protecting the animal, as well as breeding it in captivity.